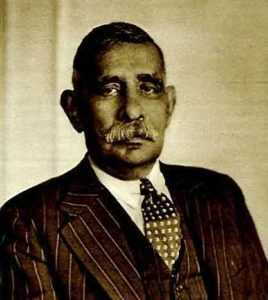 Sri Lanka’s first Prime Minister, Don Stephen Senanayake, bore the Portuguese title Don as part of his name. The arrival of the Portuguese on Sri Lanka’s (Ceylon) shores in 1505 had a profound impact on local society and the Sinhalese. For one thing, the Portuguese title of Dom, originally applied to nobles and churchmen. Caught on by undergoing a slight change to Don to precede the proper names of local men. Its feminine form, Dona, applied to ladies of very high standing local women, especially of the south. J.W. Bennett noted in his work, Ceylon and its Capabilities (1843), how the Sinhalese of his day still aspired for Portuguese names and titles. Adopting names such as Don Louis and Don Christoffel. “German Barons” he says, “are scarcely less plentiful than Ceylon Doms and Dons, and the latter appendage is just as easily assumed as the former title”. The Portuguese also left a very large number of their surnames behind. Although this does not mean that those who bear them have Portuguese ancestry. Rather, these surnames seem to have been adopted by their forebears when they converted to Christianity, possibly taking after the names of Portuguese godfathers. Such Portuguese surnames were called alukunna from the Portuguese alcunna, which in turn had derived from the Arabic al-kunya. Almeda, Cabral, Costa, Dias, Silva, Perera, Fonseka, Fernando, Pinto, Rodrigo, and Salgado are pretty straightforward Portugues. Aponsu (Affonso), Livera (Oliveira), Grero (Guerrero), Peiris (Peres), Nonis (Nunes), Gomas (Gomes), Mendis (Mendes), Suwaris (Soares), Sigera (Siqueira), Pigera (Piqueira), Tisera (Teixeira), Thabrew (D ‘Abreu), Doluvira (De Oliveira), and Salpadoru (Salvador). Many of these Portuguese names have lovely meanings. For example, take Silva (of the Woods), Costa (Sea Coast), Perera (Pear Tree), Oliveira (Olive Tree), and Correa (Place covered with Carriolas plant). Yet others are diminutives, like Pinto (Chick) or suggestive of a heroic tradition, like Guerrero (Warrior).